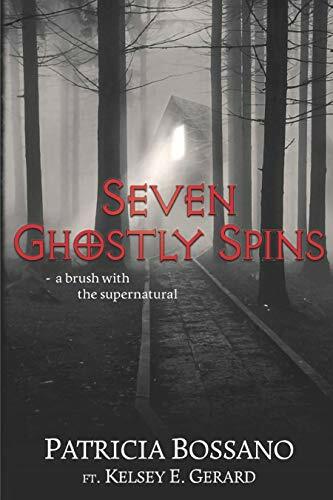 Seven Ghostly Spins is a collection of paranormal stories written by you and Kelsey E. Gerard. What were some decisions that went into picking the stories for this collection? Three of the stories; Carolina Blue, 205 ½ 25th Street and Alison, date back to the years I spent in Northern Utah. They were originally published in 2012-2014 as part of the Tales from Beyond anthologies, compiled by D. Hattingh. Ever since that project was completed, I began thinking of a collection of my own—to be based not only on true legends, but paranormal experiences as well. At around the middle of 2017 the title for the new collection came to me; Seven Ghostly Spins, prompting me to remaster the original three and identify the other four. In keeping with the “Haunted Ogden” theme, Kelsey E. Gerard submitted She Caught a Ride, fulfilling the based-on-true-legends requirement. That left me with the paranormal experience requirement, and for those I turned to my own memories and wrote By the Iron Gate and A Curse Lifted. Abiku is the novella among the short stories—the base idea for this thriller came from an ancient Yoruba belief and it includes supernatural and paranormal elements that I thought would make a proper central piece for this collection. My favorite stories from the collection is ‘Alison’ and Gerard’s ‘She Caught a Ride’. What was your favorite story from this book? Thank you! I am so pleased to hear you enjoyed these tales. I love each story equally though for different reasons. If I must pick a favorite, I would say Carolina Blue is my special, tragic friend. Each story was intriguing and well developed. Where do you turn for inspiration for writing? Two of the stories are rooted on personal experiences, while the others came to me through reading, and research. I found inspiration in a vivid nightmare and a real walk in the moonlight. In my godmother’s parting gift, and in assignments to explore Ogden’s haunted, colorful history. In the case of Abiku, all it took was an image—an illustration caught my eye and the short lines describing it spawned all the characters and circumstances in the novella. My next project is a philosophical fiction/comedy entitled Daughters of the Bride, slated for publication on Mother’s Day 2020. To recover from the unexpected death of their father, the ‘weird sisters’ cling to one another and to their widowed mother; the ‘head witch.’ However, no traditional mourning rituals await them. Blindsided by the love their mother claims to have found, mere months after the death of her husband of 50+ years, the three women flex their powers and embark on a distressing journey of reflection; to know themselves and the mother they thought they knew. Amid the hilarity of the head witch’s disconcerting return to a youthful attitude, difficult questions must be asked. Genetic memories must be acknowledged and banished. Painful feelings must be expressed, and life-altering decisions will be made because, at the end of their journey, their new reality must be embraced by all. Based on harrowing legends and nightmares come true, this mind-bending collection of paranormal tales will creep under your skin and stay with you long after you have read it. His Father’s Blood follows John and Ada as they navigate their relationship, their family, and their curse. What was the inspiration for the setup to this thrilling novel? Moll Dyer is a real historic personage, but there is scant official record of her life due to a courthouse fire. There is a local road named after her, and a boulder on display at the county courthouse where it is said she died. There’s also one colonial period letter describing her countenance unfavorably. Despite this, there are as many oral traditions about her life (and death) as there are local families. With book one, I tried to give Moll some peace and a new angle to her story. In Book 2- His Father’s Blood, I expounded on her tale. As many of the legends associated with Moll included a son, and none covered exactly what happened to him, his was also a tale that begged to be told. As the local native tribes began leaving the area at this same time, it was easy to imagine that John’s ancestor would have followed them…especially as his mother was more at home with them than her own people. I based some of their adventures on the style of tales from the mountains they fled to. John and Ada are both intriguing characters that are even more interesting when they are with each other. What were some obstacles you felt were important to develop their characters? Their loyalty had to be rock solid to allow the belief and trust in one another under extraordinary circumstances. Their devotion for one another needed to be absolute to overcome all that was thrown against them and all of the naysayers plotting against them. With such nobility of character, introducing human foibles was essential to make them well rounded and believable. You continue to develop the Dyer family’s curse in this book. What was something new that you wanted to introduce in this book that was different from the first book in the series? A theme in both is personal sacrifice and the concept that love conquers all. In book 1, Moll is kept ignorant of her powers and was only briefly exposed to the healing aspects of it. John was exposed to the darkness early in life and fought against it. Moll gave her life in sacrifice to save her son, but in my opinion, John’s price was greater. Moll never knew romantic love and I wanted to explore what might happen if a romantic interest was present. Ada certainly provided that. Moll’s love for her son drove the plot of Sister Witch, but John and Ada’s love was the driving force in His Father’s Blood. 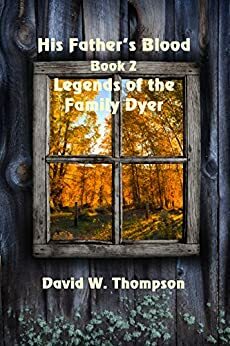 This is book 2 in the Legend of Family Dyer series. When will book 3 be available and where will the story take readers? I’ve completed the rough draft for Book 3 and hope to have it released early next year. It is set in contemporary times and of course follows Moll’s descendants. Although her name is forgotten by them, she hasn’t forgotten them. The demonic force that’s cursed the Dyer family for generations has returned even stronger! Defeated by Moll Dyer a century earlier, the demon Laris lays claim to another Dyer child. Homesteading on Devil’s Peak, skin-walking shaman John Dyer must fight to save his bloodline. Can the Dyers stand against the horrific desires of a centuries old demon? Can their faith in each other overcome the evil pitted against them? This historically accurate epic follows John- scion of the Dyer family, and the great-great grandson of the venerable Moll Dyer– in his quest for a new life, and a place to settle down and call home. The fates conspire against the Dyers, and only their sorely tested faith in each other can overcome the evil set in place against them. For the Devil Has Come with Great Wrath provides a glimpse of the havoc the Devil can wreak when he comes for the End of Days and in search of a young Office Manager. What served as your inspiration while you were writing this novel? The very first inspiration was a sort of vision, about 10 years ago. I saw a woman standing in a room surrounded by old wood and stones. She was close to a canopy bed and she was carrying a big, heavy, woolen blanket towards a window. I felt her sorrow, she was sad about somebody, she tremendously missed a person. Ten years after I was sitting in my beautiful sunroom in Northern BC, sipping tea and staring at the dark woods outside, the trees turning red, brown and orange, the crab apples filling the air with their sweet smell. I stared for maybe 5 minutes, after which I felt an extreme urge to write. I took my laptop and hastily started recording the events that would lead to “For the Devil Has Come with Great Wrath”. I started writing in September. I had the entire story in my head, but I was busy with my daily activities, so I decided to set up a plan: I had to write at least 3,000 words a day, making up for those days in which I did not have time to write. That year the winter was particularly harsh, I felt I was held captive, and writing was the only escape from the daily -30°C, from the roads covered in ice and snow, from the long hours of darkness. I wrote almost every day, not having to think once about how the story would evolve: the adventures just flew out of me, in a sort of “channeling”. In February my first book was finished, but 6 more were already brewing in my head, including the sequels of this first book. It was only at that point that I decided to walk the next mile, and treat it as a professional work. I contacted the BC Editors Association and was smitten by their reactions to my little story. After contacting the BC Editors Association, I decided to go on a solo trip through British Columbia, Washington, Idaho, Montana and Alberta. Every evening I would check my emails and find those of authorities in the field that loved my work and were looking forward to read the entire story. This incredible experience spurred me to publish the novel. My upbringing also definitely influenced my story-telling. Both my parents are attached to traditions, religion, legends and magic. My mother made sure that I would not forget about my roots, the Valley, the village “on top of the lake” (Summus Lacus), our religion. My father enhanced everything with magic and mystery. This book is a genre-crossing novel with elements of fantasy, christian, and supernatural as well. Did you start writing with this in mind, or did this happen organically as you were writing? The story was absolutely not planned. I just decided to start writing it without even knowing how it would evolve. I did not prepare an outline, I did not fill my walls with sticky notes, I did not have pages and pages of comments. I do have a little notebook, containing information regarding, for example, how old the characters are, if they are allergic to something, when their birthdays are, when they met each other. Nothing about the story itself. It was as if I was writing events that really happened, and the intention was just to make sure those occurrences could be remembered by future generations. My editor, Janet Southcott from Viridian Earth Contract, called my novel a “New Age fantasy”. Your book has some fantastical creatures, but what I enjoyed was how your characters worked in harmony with one another. What were some themes you wanted to capture while creating your characters? I didn’t necessarily plan to capture any theme related to collaboration and compassion, so it definitely happened naturally. I do like the idea of different beings cooperating and developing these strong emotions and this genuine attachment for one another. In the beginning, the characters happen to come together for a higher cause; they are sort of forced to cooperate. In fact, we sometimes read that Emma doesn’t really appreciate the sternness of Ella, but, like a daughter-mother relationship, she respects the opinions and directions of a more experienced female. If we consider the novel from this point of view, it seems that the characters always approach a new “companion” with reservation, doubts and distrust. Of course, this is also caused by the events happening in the Valley, but don’t we often all react like this during our first meeting with somebody? It’s only after a few shared experiences that we manage to open up to the person in front of us. This is exactly what happens to Emma, Ella, Abela, and all the characters in the book. It is more obvious for Emma, because she is the one recollecting the events, we don’t really know what the other characters think of her, their first impression on her, but we can figure it out by reading about their behaviours and interactions with Emma through her own words. At the same time we can see how the characters evolve within their experiences: their core is the same, but their values change. There are no emotional barriers anymore; there is no time for counterproductive drama. The transition to peasant life also intensifies these values, all of a sudden the reader realizes that without technology and commodities, the characters have to communicate more, they have to cooperate and develop skills they weren’t even aware they had. Also, it is clear that by being the fellowship so diverse, each of the characters bring a different set of assets, which is shared between the members, increasing their knowledge and understanding. This is book one in a trilogy. Where will book three pick up and when will it be available? Book #2 and #3 are already in the process of being created, I just need the time to sit down and write them both. Book #2 will start with the main characters leaving the witch’s house and migrating to a more secure place: the gnomes’ kingdom beyond the mountains. The rest of the novel will bring more adventures and many unexpected twists. The common threads will still be the millennial fight between good and evil, love, friendship, occult, strength and hope with the Apocalypse permeating and hanging over everything like Damocles’ sword. Book #3 will incorporate also the final countdown until the last battle between good and evil, the one that will decide on the faith of humanity and Earth. When the Devil puts his price tag on your head, you know you have to call upon some very special friends to help you stay alive. Welcome to the world of Emma. Thrown from relative obscurity into a time of being hunted, our young protagonist must transition from modern day to peasant life with difficult choices and a need to adapt. Life on the run takes trust and belief in the power of others, on a vastly changing stage. Emma Plant’s first novel throws the reader into a place where reality is no longer three dimensional. Descriptions of fairies, witches, gnomes and demons paint a picture for anyone who may wish a glimpse beyond the veil. Her characters live in the reader’s imagination beyond the final page, with the promise of a sequel, and potential trilogy in the offing. 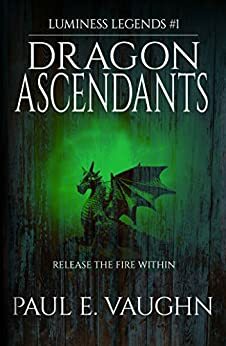 This new-age fantasy story will appeal to young adults through to senior years and is a page-turner from start to finish. Imagine if you will for a moment a medieval fantasy drama being brewed in a cauldron: throw in a measure of How to Train Your Dragon, add a dash of Game of Thrones, sprinkle in some of The Hobbit all topped off with a liberal dose of a King Arthurian legend, leave to simmer on a medium heat for few chapters and then you might have replicated Dragon Ascendants by Paul Vaughn. So let’s get on to the plot, the setting and the highly descriptive cast of characters without creating spoilers for you. Dragons, shadow-bats, elves, dwarves, bandits, skulduggery, betrayal, magic, fear, treachery, family discord, sibling rivalry, disappointment, parental disapproval, forgiveness, redemption and, lest I forget (although, how could I?) a very good measure of graphic violence – it’s all in there – so what more could I want from a fantasy novel? Perhaps a little romance? If it’s in here I missed it. The action is all set in a mystical land, named the Luminess, which at first visit seems almost idyllic. That is, until the conflicts of this land are slowly revealed in the following chapters. In these mountains live the elves, which have been there for centuries happily mining the gems hidden within. Their lives are occasionally interrupted by an assortment of other species, some for good cause some for ill.
Also, as within most fantasy novels, there is a power struggle between the forces of good and evil. From my reading, I felt that we are to consider these two grouping; one under the ‘command’ of the dwarf burrow’s hereditary leader, named Meerkesh, (representing the forces of good) and another under a very angry rogue elf, with unexplained issues, named Fearoc (representing the forces of evil). Such is the power of the latter, we are led to believe that the world has, or is about to, come to an end for the dwarves. But I am not totally convinced as to which side is really the good and which that of evil is. In this strange land, where sapphires, ruby stones and diamonds are used as currency and the internal ‘politics’ seems to be driven by greed and ruled by bloodshed. On the one hand we have a population that apparently eats nothing other than apples, whilst the baddie mainly feasts on his conquests, we have quite a lot of axe wielding violence, bloodletting, beheading, dragons blinding by fire and melting of opposite forces during this fight between good and evil. Both sides seem as driven by bloodlust as the other. And this interesting dichotomy lends to some thought provoking reading. This novel left me begging for more. More answers, more character development, more world building. I want to know! Ah, the mark of a good writer I suppose. I look forward to the next book in Paul Vaughn’s Luminess Legends series. Wyndwrayth by Keller Yeats proves to be both interesting and captivating as the reader follows the central figure, Nick Swann, as he bumbles through his semi-isolated real world life and slowly discovers the existence of a second, more deadly world, all around him. These two parallel worlds slowly converge as you turn the pages to reveal what is undoubtedly a cleverly researched horror novel yet still containing moments of strong humour and absurdity. The first passage of the novel only offers the briefest glimpse of what is to come as it describes events of 1016 in a place named Flotta in the Orkney Islands of Scotland. Much later a more sinister story is revealed, as the full impact of ghosts and ghouls condemned to a life of perpetual purgatory wreaking havoc from their haunted house for a 1000 years follows. After this brief immersion into Norse mythology the story abruptly introduces the daily life of Nick as a self-styled geek, working occasionally on business research for associates at Bangor University, from an inherited cottage on the island of Anglesey in Wales. Despite apparent excesses of marijuana, brandy and coffee, Nick still manages to investigate further into the mysterious local occurrences, drownings and inexplicable disappearances which all combine with the mythical backdrop to reveal the cold stark reality of evil forces at work on his doorstep. As the chapters proceed the two sides are drawn ever closer to their inevitable confrontation – for the outcome you will have to read for yourself, but I quite enjoyed this ethereal mesh of myth and contemporary life. As the two classically configured worlds of good and evil come closer together will Nick and Wendy survive or will they pass into the world of the undead? The only spoilers I will offer here are that if you are offended by strong language and an occasional blood-letting scenario then turn away, but you would be missing an riveting story that I could not put down. Initially, I did find Nick’s apparent excessive talking to himself annoying; but ultimately I felt like this added to his slightly eccentric and bohemian character. 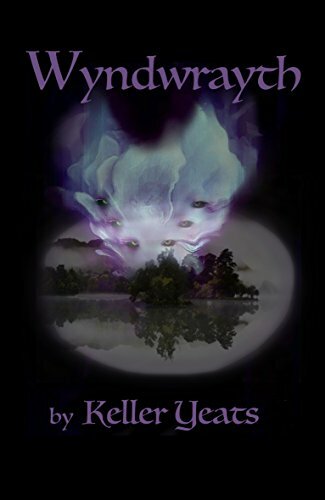 Wyndwrayth by Keller Yeats offers an enthralling well-researched read. The author is able to methodically create an enthralling character, place him in a vivid world, and face him against an enthralling antagonist. If you enjoy stories about myths and legends then you will certainly enjoy this novel. The BEST-SELLING collection in Occult Parapsychology!! “Forget the world that you know. You are about to enter a dimension of the bizarre, where the strange and unusual will guide you down the path of imagination. True stories where the ordinary will be replaced with the fantastic! Explore legend, myth, and folklore These cases are based on theory and conjecture. The reader is invited to make their own conclusions on all the available information. The Adventures of Fawn is a children’s novel that follows a young deer as she seeks adventure and frienship and finds much more. What was your inspiration for this fun story? I’ve been a department store Santa for 40 years. The many questions children have asked, and my creative responses were part of my reason for writing ‘The Adventures of Fawn’. I wanted to instill a feeling of wonder and enjoyment regarding things related to Santa’s mythology and the North Pole for readers of all ages. The descriptions of making candy canes and sugar plums, and the activities in the Toy Shop are, for me, a great way of ‘bringing the reader in’…regardless of his/her age. Christmas is still my favorite time of year. Writing these books has afforded me an opportunity to spread that love and perpetuate the magic, as well. I felt that the novel was about friendship and overcoming adversity. What do you hope readers take away from your story? Yes. Friendship and overcoming adversity are indeed a great part of the story. I think the relationship between a child and his/her parents is also a vital part of the tale, and plays out well between Fawn, Comet and Vixen. Fawn is a loving character that is easy to relate to. What were some ideals you were trying to capture with her character? I imagined Fawn as a youngster just approaching adolescence. 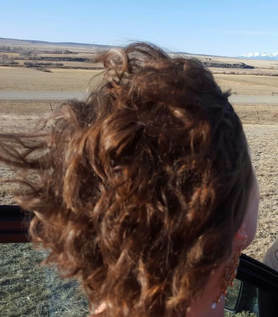 She got ‘smarts’, but her adventurous spirit gets the better of her. Despite, or perhaps even in spite of her parents warnings, she throws caution to the wind and decides she can face life outside the Village on her own. Realizing her Mum and Dad were basically right all along is a big part of Fawn’s journey and self-discovery. I also like to think Doctor Weather and Fawn are both on a journey of sorts. Both are discovering things they never knew, whether they be North Pole related…or things about themselves. Book 2 of The Adventures of Fawn, titled: The Ona Pendulum find Fawn, her friends and Doctor Weather trying to save the lives of the citizens of Santa’s Village. The Ona Pendulum, a magical device that enables Santa and company to live for centuries is apparently in grave danger of being destroyed. Book 3, entitled: Far And Yet So Near finds Fawn, her friends, and doctor Weather trailing the reindeer who have come under the control of a mysterious stranger bent on kidnapping the team. But Fawn winds up being the one kidnapped and spirited away to an estate in England. 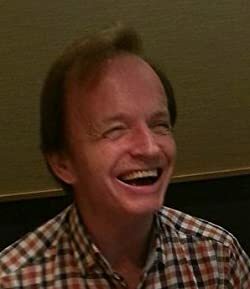 I have a fourth book nearly completed, but I’m not happy with it, and am trying to work on it and make it more entertaining. This award-winning first entry in The Adventures of Fawn series is an exciting ‘coming of age’ tale! The year is 1849, and legendary reindeer Comet and Vixen have a young daughter, Fawn. In this first book, ‘Til the Last Snowflake Falls, the young reindeer spends far too many days alone in the stable at Santa’s Village, with no friends and nothing to do. While her parents caution her she’s much too young and inexperienced to go exploring outside the Village by herself, Fawn disagrees. Declaring, “I want some fun and excitement! I don’t care how dangerous it is!” she begins sneaking out each day in search of friends, excitement and adventure. She’ll find them all…but also find herself in dangerous situations she’s unprepared for! She’ll realize perhaps a bit too late that mom and dad were right all along! And, she’ll learn some valuable lessons about what’s really important in life. 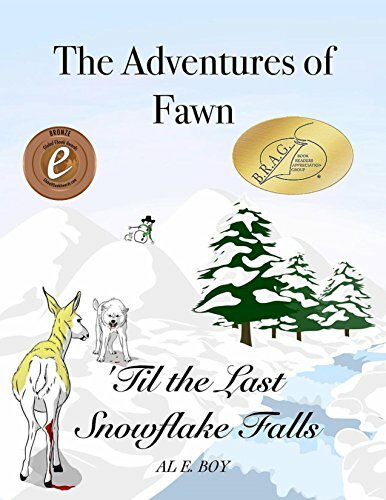 The Adventures of Fawn are filled with fun, laughs, excitement, and magical entertainment for readers all ages! ‘Til the Last Snowflake Falls was awarded the Bronze Medal in Dan Poynter’s 2017 Global E-book Awards, received an Honoree Medallion from indieB.R.A.G. Awards, a Reader’s Favorite Five Star Award, One Stop Fiction Books’ Five Star Award, and Literary Titan’s Silver Book Award. 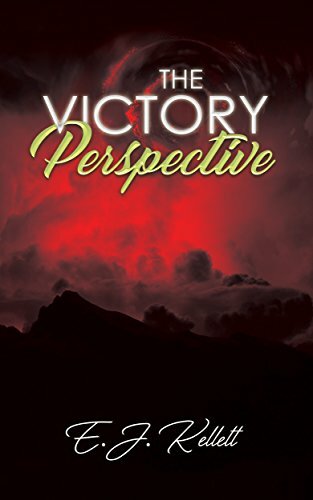 The Victory Perspective, by E. J. Kellett, reveals a new angle on the creation story complete with a dark and foreboding side. Five beings materialize, quite literally, in the first chapter and proceed to make their way through the world around them while one of them, Alpha, emerges as leader. Raphael, Michael, Lucifer, and Gabriel seek ways to understand Alpha’s powers as they develop, strengthen, and subdue the other four. Alpha’s abilities overwhelm the others as he levitates, forces the others into virtual servitude, and begins presenting them with stunning creations, including human beings. When Raphael disappears from their camp, Lucifer must begin a battle within himself as he searches for his friend. I was immediately taken with the beautiful language penned by Kellett. The striking descriptions of the landscape and the amazing emergence of each of the five beings is breathtaking to behold. Kellett is a master with the written word and fashions fascinating depictions as they grow in their cognizance. Kellett incorporates several episodes of violence in order to emphasize the differences between his characters and demonstrate Alpha’s dominance. Like the other four stunned onlookers, I struggled through the sight but find it a fitting method for establishing Alpha’s place in the world and helping the reader sympathize with Lucifer as the plotline progresses. Their horror at Alpha’s growing strength and their wonderment at the tools, weapons, and shelters he is able to fashion are highly relatable feelings. I was, at times, taken aback at the rather familiar tone of the characters. To hear characters who I associate with angels speak in mundane terms, sometimes using slang, was a bit off-putting. The intensity of the creation story seems to call for a more formal tone, even though this is a far cry from the traditional story which most readers would readily recognize. I had a hard time resolving my discomfort with hearing Alpha, depicted as the creator, curse. The closeness between Lucifer and Raphael is touching, and Lucifer’s insistence at finding Raphael at all costs keeps the reader involved in the plot. As the two discover more about themselves and more about Alpha’s intentions, their relationship mimics human exchanges. Again, this is not something most readers are used to seeing from depictions of divine beings. Making that transfer to a different mindset might be a struggle for some. Lucifer’s reappearance in the Garden of Eden places a new spin on the Tree of Knowledge of Good and Evil. In fact, one of the most iconic scenes we know from the Bible story is, here, given all the qualities of a drama. Lucifer, though always a major factor in Eve’s decline, is personified by Kellett and shown to be thoughtful and not without worries of his own. In addition, Adam and Eve’s conversations are basic in language and have a commonplace feel. While beautifully written with remarkable imagery, I was not completely comfortable with the take on the creation story. However, there is much to be said for this reimagining of the immediately recognizable story of the origins of our world. Into the Night features an unlikely pairing of characters who set out on a journey to battle barbarians and vampires across the English countryside. I felt like the setting was very detailed in this story. Why did you choose this time and place for your book? Historically, in the early 1300’s, England became the landing point of the Vikings when they decided to leave their northern towns. Vampire legends were also very well-known and taken seriously throughout almost every century. Vampire belief peaked and declined and then rose again as time went on. Vampires are indeed everlasting; at first being a tale of horror and then becoming a fascination. It is no doubt that vampires evolved like no other monster in our literature. The lore is still alive today and fills us both with fear and desire. I studied old maps of the English countryside and manipulated some letters of real older towns to create my locations. I also mentioned some landmarks that still exist today to give Into the Night a more historical background rather than that of pure fantasy. Somehow, barbarians, vampires, and England just seemed to fit perfectly. The book got its title because one evening I was driving with the sun behind me and darker night skies ahead of me. I was literally driving into the night. It felt ominous and fit the vibe of my story well. Also at that time, was a popular song on the radio that shared the same name by Santana and Chad Kroeger. The hero’s Samuel and Valencia are dynamic characters that battle vampire matriarchs Isabella and Cerbera who are also well developed. What was your inspiration for the characters relationship and how they contrast with the villains? Samuel is a drifter with no clear path in life. Valencia is unable to forget a bad memory and is driven to seek revenge. In a way Valencia is too harsh and Sam too meek; together they take what the other has too much of and it makes them a perfect duo. The vampire sisters mask their vile intentions and wicked deeds with beauty that beguiles those they encounter. Without Valencia, Samuel would not have been able to (or perhaps not want to) resist them. It stems from the duality of our minds – the fear of losing our humanity (Soul, goodness) and the desire to break free from physical obstacles and society’s restraints and give in to lust. Valencia keeps him grounded and stands as an icon of strength and courage; which eventually wins Sam’s admiration. I felt like this novel did a great job utilizing vampire lore and creating some of its own. How did you set about creating the vampires in your story? 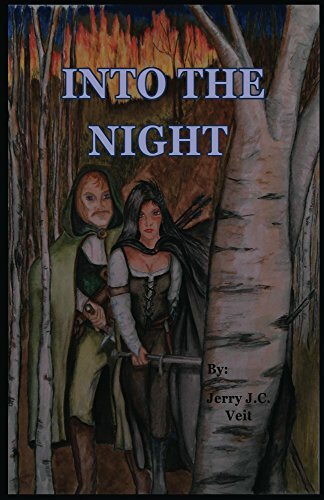 Into the Night was my first screenplay (and my second published book). At the time I was reading: Screenplay: The Foundations of Screenwriting by Syd Field. That’s when I decided to practice what I was reading. My first words of the story were Valencia’s speech to Sam, at their first encounter, about Cerbera stalking her prey. I remember putting the monologue on Facebook and getting replies like: “what happens next?” The truth is I didn’t know. I was just practicing a writing exercise I had assigned to myself, but I knew I had to make something out of it now. It helped that I took a liking to everything vampire; watching movies from Nosferatu to Interview with a Vampire to Underworld, and collecting a library of vampire literature; from Camilla to Vlad to vampire encyclopedias. Cerbera’s name is taken from a plant species found in India; known as the suicide tree due to its toxicity. The vampire sisters each have a unique trait. One paralyzes men with a touch, the other with a look. Together they symbolize heightened sexuality that dominates all men and is based on the biblical character, Lilith, who eventually formed the race of the succubus. The vampires in Into the Night are a compilation of everything I read and saw. I would love to see more of the pairing of Samuel and Valencia. Do you have any plans to expand their story in the future? I have thought about bringing Samuel and Valencia back together as a vampire fighting couple. With the barbarian threat culled and the vampire’s uncanny trait to keep coming back; I would be able to dedicate the story to just vampires. In the middle of the story Sam and Valencia rescue a family that escapes to Ireland. That was intended to be the main plot for the continuation. The team rejoins to aid the family and fight a vampire threat in Ireland. In the autumn of 1325 an army of barbarians invade the south-western region of England. A drifter named, Samuel and a strong-willed woman named, Valencia journey north to Ashborough to seek the aid of the steward’s army. While on their mission they realize the barbarian army is close behind them along with two vampire matriarchs and their vampire horde. They find themselves in the midst of two wars as they fight northward on, what seems to be, a Sisyphean task. 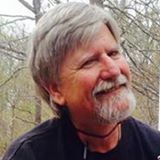 The Raid on Troy, written by Murray Lee Eiland JR, is the seventh book in the Orfeo Saga. It follows two brothers, Memnon and Menas as they rise to power from the chains of slavery. Determined to taste the gold of Troy, the brothers assemble their lives so they are in a position of power to take the city. Telemon is drawn into the plans after a prophecy about the kidnapping of his daughter Elena is fulfilled. The battle lines are drawn as each player in the war game draws their sharpest weapons and assembles their greatest armies to fulfill their own dreams and desires. This epic adventure begins with a slave boy Memnon attempting to escape the perils of slavery caused by an early capture from the Therans. Memnon’s previous family life is all but a distant memory and for now, all he knows is slavery and hierarchies of power. The brutality that he has experienced in his life has meant that kindness has seeped away from his soul, leaving a dangerous man with nothing left to lose. He is inherently a leader who fearlessly takes control of perilous situations. This allows him to develop a following of men who are eager to drop the chains of slavery too. Together they begin to rebuild their lives, raiding villages and meeting with bandits who help them acquire food and weapons. Menas, Memnon’s brother, is also an escaped slave and eager to live a life beyond being a pawn of the Therans. Menas soon involves himself with the Spartans, where he becomes a “fixture in the local politics of Sparta”. The two brothers rise to power in an epic tale of action, revenge, lust, and influence. You will admire their ability to rise to power and success as they take what they believe is rightfully theirs, having no mercy for those who dare to cross them. 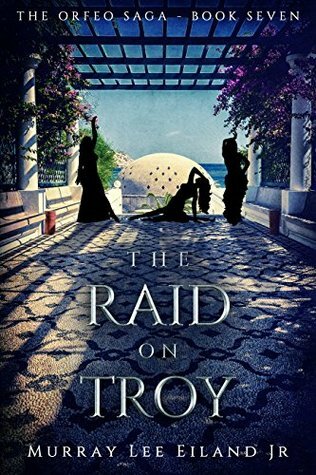 The Raid on Troy has several storylines that are interweaving together as you progress through the novel. We have Orfeo who enters the plot line as an admirable and successful leader who has a beautiful wife Clarice, Telemon and Estra with their daughter Elena and the brothers Menas and Memnon who all take the leading roles in this twist of Greek mythology. 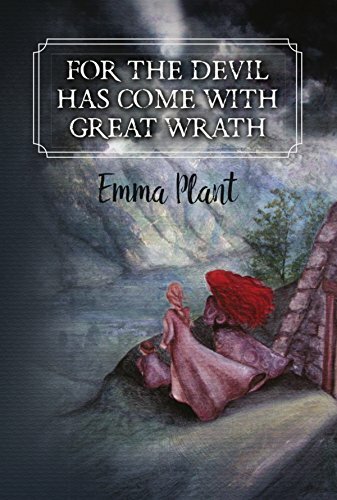 There are similar aspects to the traditional mythology story, however, Murray Lee Eiland JR curates this version to be an almost historical version of events, leaving the reader to feel connected to the characters and the plot line. Murray Lee Eiland JR writes with a legendary force that will have the reader engaged from start to finish. The chapters are short and fast-paced, allowing the plot line to develop quickly whilst covering vast amounts of time. However, there is still an incredible transformation in the character development as you watch the characters grow in both power and ambition. I would recommend this to anyone who enjoys an epic battle mixed with the rise of power and fortune.